Austell City Hall is located at 2716 Broad Street Southwest, Austell, GA 30106; phone: 770-944-4300. Photo: Israel Causey House, ca. 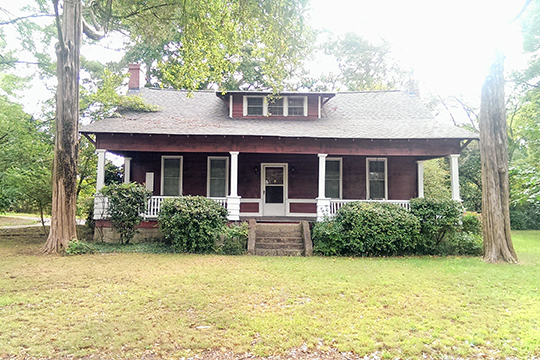 1840, 5909 Maxham Road, Austell, GA. Listed on the National Register of Historic Places in 1975. Photographed by User:RudyTravis (own work), 2014, [cc-by-3.0 (creativecommons.org/licenses/by/3.0)], via Wikimedia Commons, accessed April, 2016. Originally frequented by hunters and known as "Salt Springs," the land that would become the City of Austell was first settled in the late 1800s and was chartered in 1885. The town was first platted by G. O. Mozeley. The Georgia Pacific Railroad (later the Southern Railway) made a depot division at Austell for the railway lines connecting the town to both Birmingham and Chattanooga. History of Austell, City of Austell, Georgia, www.austellga.gov, accessed July, 2011.